Fall Flower Honey is extracted from the nectar of Arizona herbs. 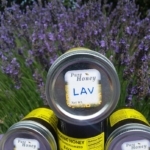 The strong, potent fragrances of the herbal nectar make this honey a unique and aromatic treat. This honey makes a superb addition to your favorite spaghetti sauce, sweetening it just slightly without distracting from the rich Italian herbal flavors. Enjoy this honey by the spoonful in order to appreciate it’s unique flavors.